Nikon D610; 17,0-35,0 mm f/4; length 22; f/18; 30 sec; CPL; ISO 50; Manual blending of two images with Lr/Enfuse. Last edited by Pedro da Costa on Sat Jan 26, 2019 5:59 pm, edited 1 time in total. Beautiful shot of a beautiful spot. The brightening of the waterfall is probably just a tiny bit too much but overall this is a great shot. Thank you E.J. for your comment. I fixed it a little bit. Regards. Must be spectacular to see- lovely view , well done! Looks great! Much more natural now! This reminds me of Kilt Rock on the Isle of Skye! 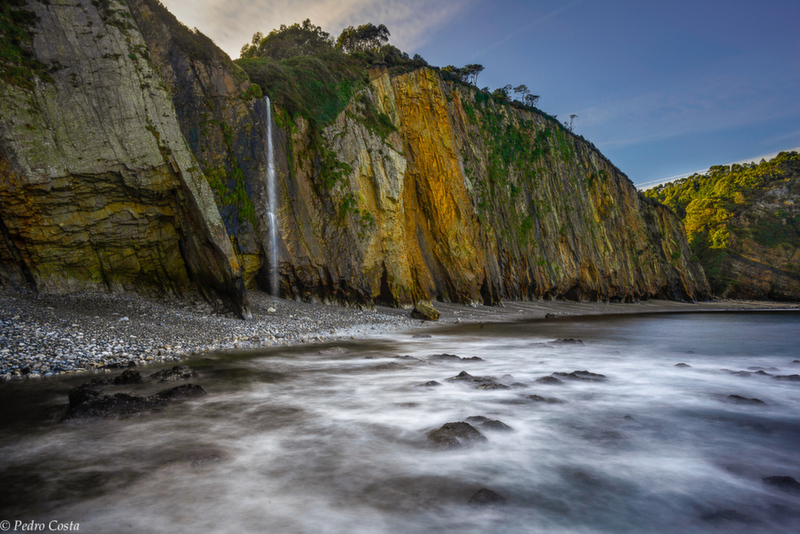 A lovely view of the cliffs and waterfall, Pedro.